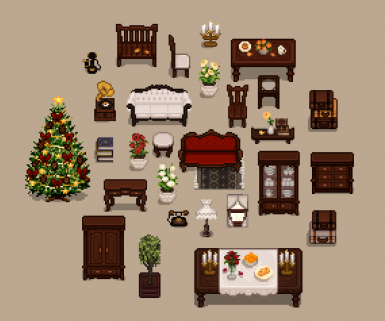 This was a set inspired by Eemie's Classy new Interior,﻿ i wanted to make matching furniture to go with her. 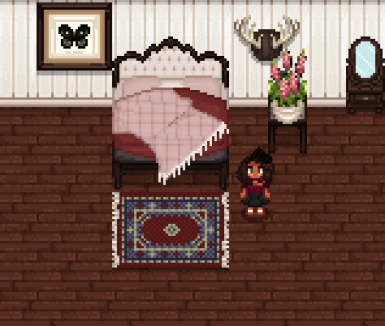 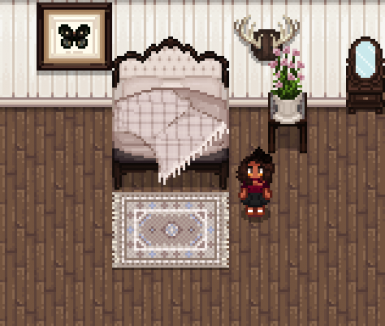 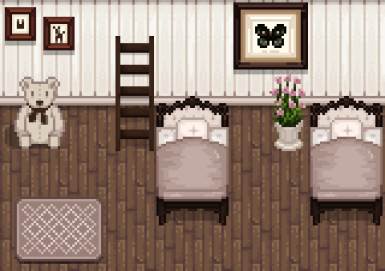 ⚘ Rename the bed to farmhouse_tiles after choosing which version you want (3 versions to choose from blue, purple and red) then place the farmhouse_tiles.xnb in the assigned folders, into your Steam\steamapps\common\Stardew Valley\Content and Maps folder. 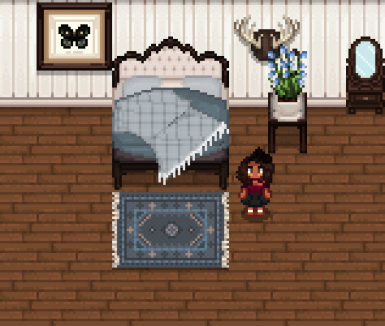 ⚘ After choosing which version kids bed you want (3 versions to choose from blue, purple and red) then place the townInterior.xnb in the assigned folders, into your Steam\steamapps\common\Stardew Valley\Content and Maps folder. 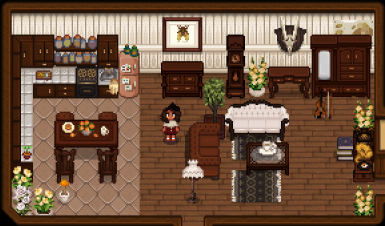 9.10.2018 // Patch 1.3, This Mods has been Updated! 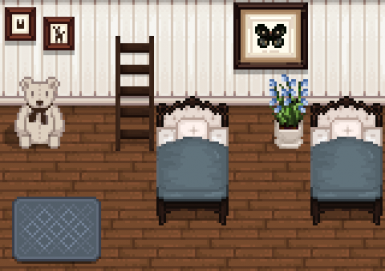 enjoy~Due to a major game update, mods are automatically disables incompatible mods.